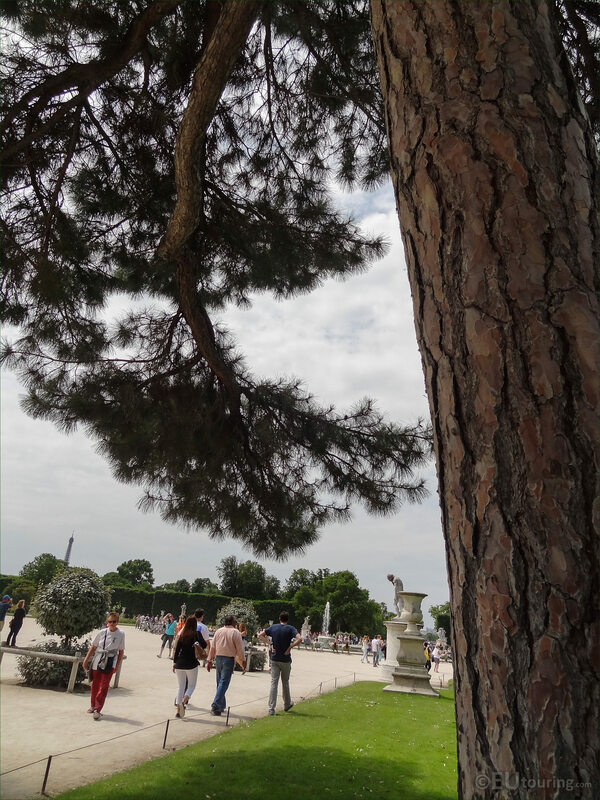 We were in the Jardin des Tuileries in the 1st Arrondissement of Paris, when we took these high definition photos showing a historical tree called a Pin de Corse, or Corsican Pine Tree. There are actually over 3000 trees within the Tuileries Gardens and this photo shows the Corsican Pine tree in the Demi-lune Reserve nord garden area, with several people enjoying the shade it was providing, yet as you can see, there are other species of trees in these historical gardens as well. 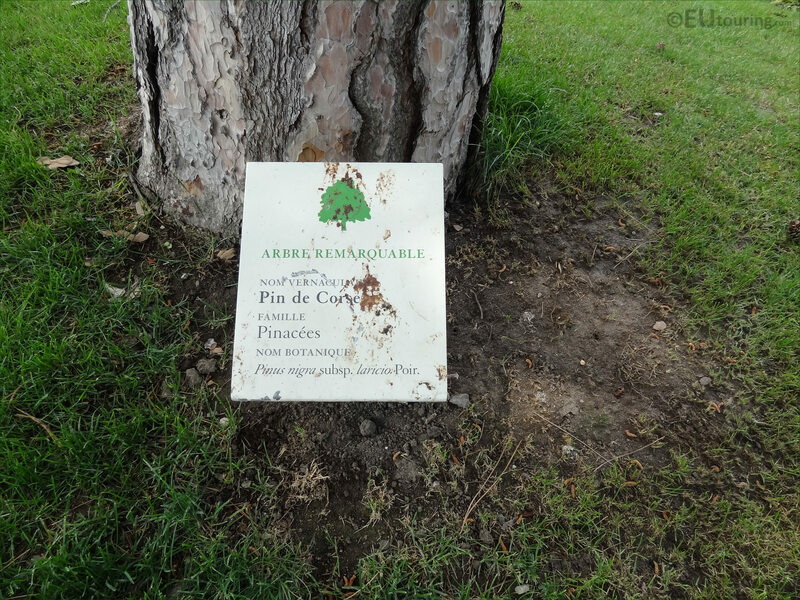 Now just like in other parks and former royal gardens like the Jardin du Luxembourg, the Jardin des Tuileries provides tourist information plaques for visitors to learn more about the vegetation around them, and as you can see from this photograph, it state Remarkable Tree and then the name of Pin de Corse along with the family it comes from, which are Pines. 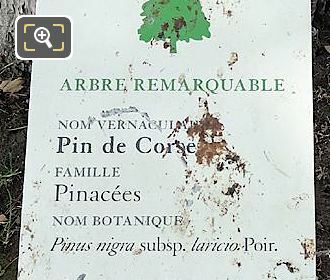 The Corsican Pine also has a full botanical name of Pinus nigra subsp. laricio Poir and is part of the Black Pine family, hence the start of the name Pinus nigra, and this particular species of tree is found in many Mediterranean countries such as Sicily, Italy and Spain, although it is native to Corsica. 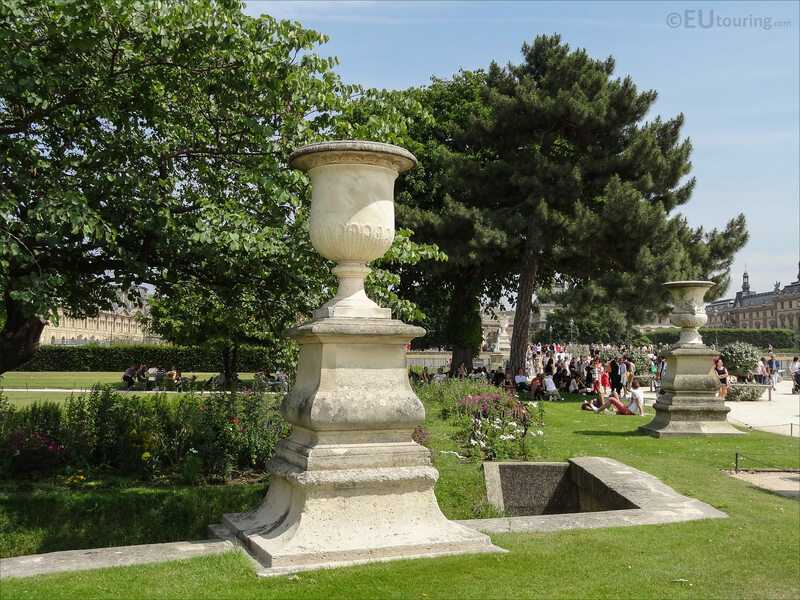 So although the Tuileries Gardens is classed as an open air museum and a historical landmark, there is far more to discover when you really start to take notice, and with the amount of different varieties of tress, shrubs, bushes and flowers, this is also a gardeners paradise.